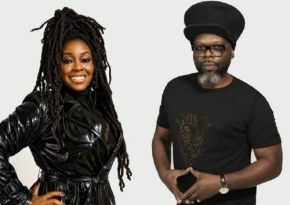 Iconic British band Soul II Soul will embark on a landmark tour of the UK in 2018 marking 30 years of hugely influential success, paying tribute to their legendary debut album, ‘Club Classics Vol 1’. The double Grammy Award winning and five-time Brit Award nominated band will play 12 dates in the UK in October and November 2018, including a date at London’s Palladium, featuring a stunning production. With huge hits including ‘Keep On Movin’ (which sold over a million copies in the US alone) and the UK number one single ‘Back To Life (However Do You Want Me)’, Soul II Soul progressed from being one of the leaders of the 1980’s warehouse scene to pioneering British black music around the world, and securing commercial success for themselves and the huge amount of artists they have influenced. During the course of their stellar career the band have sold over 10 million albums worldwide and main man Jazzie B was awarded an OBE for services to music in 2008, as well as winning an Ivor Novello Award for Inspiration, as “the man who gave British black music a soul of its own”.